2000 - Catholic Archdiocese Jubilee Award: Contributions to Liturgical Architecture. Fr Bryan had just moved to the Yangebup parish when he asked me to design the new church. 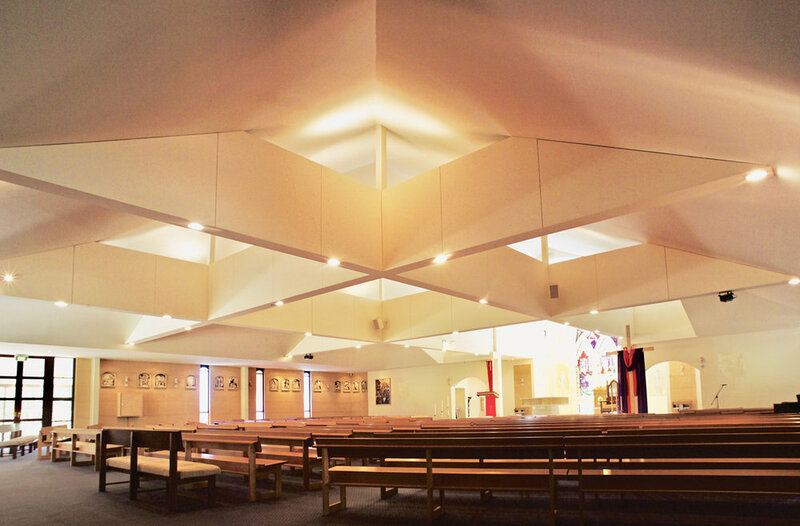 A dynamo and great connoisseur of form and art, Bryan wanted a modern light filled liturgical space. Working with my good friend Frank Saraceni (deceased) a fabulous engineer, I created a portal frame design to deliver the open space. Fr Bryan worked with some spectacularly talented local led light artists to deliver one of the most beautiful modern headlight peices in WA.